● Kevin Harvick started 15th, finished 25th. ● After a caution on lap three, Harvick advanced to the 12th position. ● On lap 17, Harvick pitted the Busch Beer Ford Fusion under green-flag conditions for four tires and fuel. ● At the end of the stage, Harvick stayed out of the pits and advanced the Busch Beer Ford to the top-10. ● Started seventh, finished seventh, earning four bonus points. ● Harvick fell to the eighth position, where he piloted the Busch Beer Ford Fusion for the majority of Stage 2. ● He battled back into the seventh position and did not pit at the conclusion of the stage. ● During the opening laps of the final stage, Harvick was stuck in traffic and fell back to the 10th position. ● On lap 52, crew chief Rodney Childers radioed the Busch Beer Ford to the pits. Just as Harvick came within a car length from pit road, a caution was called, forcing him back on track. ● Harvick pitted under the caution period for four tires, fuel and adjustments to correct loose-handling conditions. He restarted in 10th place. ● Harvick battled to keep the Busch Beer Ford in and around the top-10 for the remainder of the race, finishing in 10th. 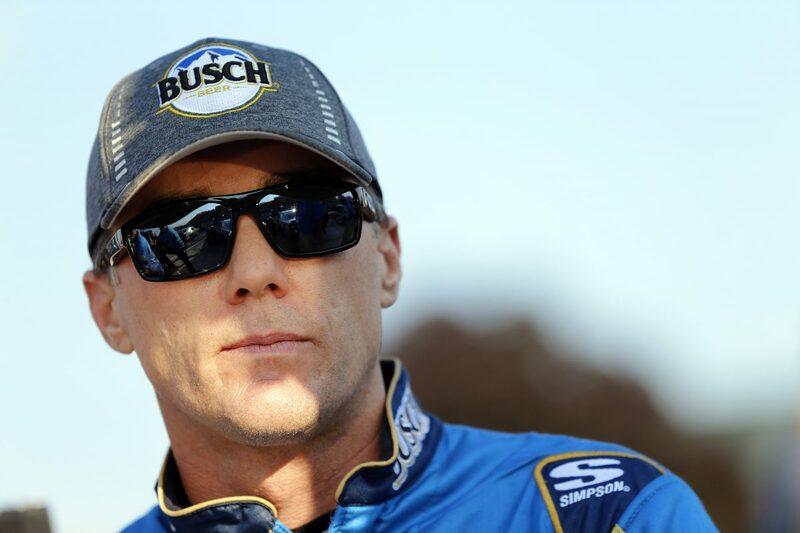 ● This was Harvick’s 18th top-10 finish of 2018 and his ninth top-10 in 18 career Monster Energy NASCAR Cup Series starts at Watkins Glen. ● Harvick finished seventh in Stage 2 to earn an additional four bonus points. ● Twenty-four of the 37 drivers in the GoBowling at The Glen finished on the lead lap.